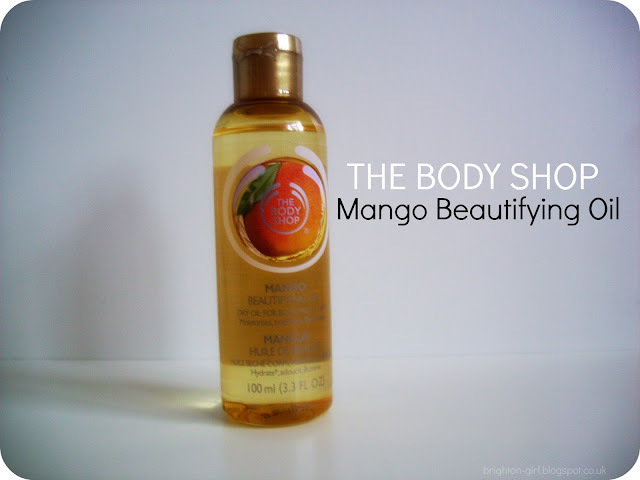 The Body Shop's Mango Beautifying Oil* is the perfect multi-use product. Not only can it be used to and moisturise your skin but can be also applied to your hair to tame and smooth. As with all Body Shop products, you can be certain that only the best natural ingredients have been used. The base of this beautifying oil is comprised of a blend of nut oils; including sweet almond, kukui nut and marula nut oil. I first tried this product out on my hair and applied a few drops to the ends of dry hair. Once applied and combed through with my fingers, my hair looked smoother and healthier. It's worth noting that I have quite dry and thick hair and a little of this product definitely goes a long way. However, I would use with caution if you have very fine hair. I find that my favourite way to apply this oil is onto the skin. It sinks in so easily and doesn't feel greasy at all. I use this on my legs and it provides light moisturisation and a luminous quality to the skin. I can see this product working wonders in the summer. Although it's not my favourite scent, I was pleasantly surprised by the fruity mango aroma which will be perfect for sun-drenched days too! I've certainly been impressed by this versatile oil. It's also available in lots of different scents. I've got my eye on the coconut and pink grapefruit ones! Have you tried any of the Body Shop Beautifying Oils? i'm using it. Is a very nice ! This looks lovely, will have to give it a go. I have been recently introduced to oils and I am a bit of a fan! 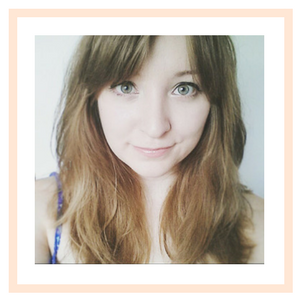 I love products that are multipurpose and this sounds great as I definitely think my hair needs a bit of an uplift!